This northeastern culinary tradition has become our holiday tradition in Texas. It’s a totally fun, flawless and interactive activity for kids and adults to watch the popovers “popover” the top of the pan and, subsequently, stuff the hollow interiors with gravy, dressing, turkey, jam or whatever you want. Popovers are easy to make for a small group, but when the number of chairs at the table increase, it’s time to rethink this holiday tradition. That’s what happened to me this year. 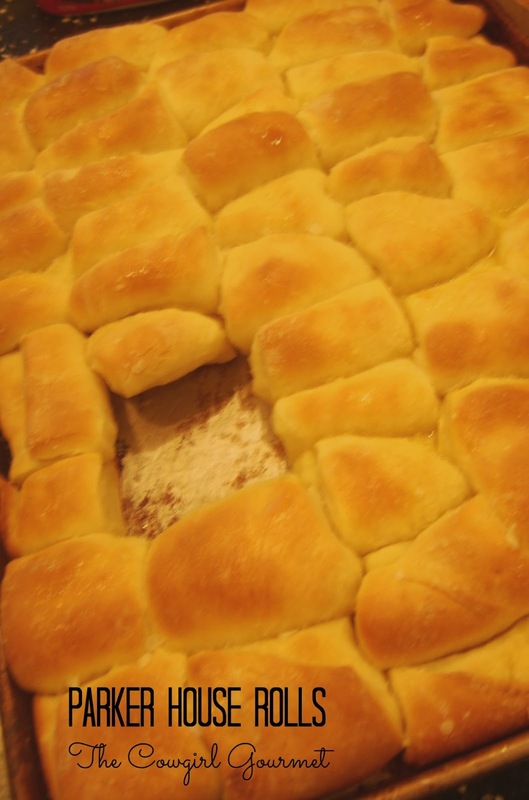 Rather than take the easy route, such as the very well-known Sister Schubert’s frozen rolls, I wanted to make a homemade roll for the occasion, but with 18 people attending, what should I make? What could I make that both the young ones and the well-ripened guests, like me, would find irresistible? It needed to be fantastic, easy and something that I could prepare in advance and then bake at my cousin’s house. The November issue of Bon Appetit to the rescue. Again! One of their featured holiday recipes was Parker House Rolls, a New England culinary tradition from the Parker House Hotel in Boston. I have also been wanting to make these for many years, but never had the opportunity since it does make 36 rolls! These yeasty, puffed pillows seemed to be the answer to my holiday roll riddle. Though, in doing so, I broke my very own rule which is “Never, never, never make something for the first time for a dinner party.” Yes, the rolls were delicious, but had I prepared a batch in advance, they might have been even better. Funny though, I don’t think anyone knew that they weren’t exactly the way they were supposed to be. Because every single roll disappeared. These yeasty pillows of perfection are easy to make and especially terrific when you have a large group of people to feed. All you need is a little time and patience and you'll have your guests cooing with delight at your homemade rolls. In a small bowl, add the water and yeast and whisk together. Let sit for 5 minutes while the yeast bubbles up and activates. Heat 1 cup whole milk in a small saucepan over medium heat just until warm. Combine 1/4 cup vegetable shortening, 3 tablespoons sugar and 1 1/2 teaspoons kosher salt in a large bowl. Add the warmed milk and whisk to blend, breaking up shortening into small clumps (it may not melt completely and that is fine). Whisk in the yeast and water mixture and add the room-temperature egg. Mix well to combine and break up the egg. Now add 3 1/2 cups all-purpose flour and stir vigorously with a wooden spoon until a dough forms. With lightly floured hands, knead the dough on a lightly floured surface until smooth, about 4-5 minutes. Transfer the dough to a lightly oiled bowl and turn to coat. Cover loosely with plastic wrap and let stand at room temperature until doubled in size, about 1 1/2 hours. Cut lengthwise into three 2-inch-wide strips; cut each crosswise into three 4x2-inch rectangles. Brush half of each (about 2x2-inch) with melted butter and fold unbuttered side over, allowing 1/4-inch overhang. Place flat in 1 corner of dish, folded edge against the short side of dish. Add remaining rolls, shingling to form 1 long row. Repeat with remaining dough for 4 rows. Brush with melted butter, loosely cover with plastic, and chill for 30 minutes or up to 6 hours. Bake rolls until golden and puffed, 25-35 minutes. When the rolls are cooked to a golden perfection, brush with butter, sprinkle the tops with Maldon flaky sea salt and serve warm. YUM!!!!! Anything that is required to rise scares me! I'm always afraid of the yeast… But these look SO good!